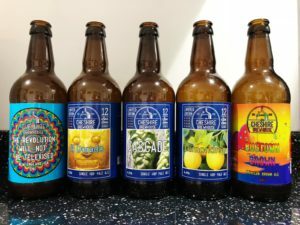 This week we’re back to drinking more traditional beers as we work our way through a selection of Cheshire Brewhouse beers that have been kindly sent to us by Shane Swindells. Hopinions | Which term do you think is more alienating to the casual drinker? Many thanks to Shane from Cheshire Brewhouse for sending us his beers to try for free on the show, this didn’t influence our thoughts.